Computer networks are no longer just for surfing the web and checking email. In today’s home environment, they are the backbone of virtually everything in the house. Music and Movie streaming, Security Cameras, Lighting Control, Phone Systems, and even Burglar Alarms rely heavily on the home’s computer network. 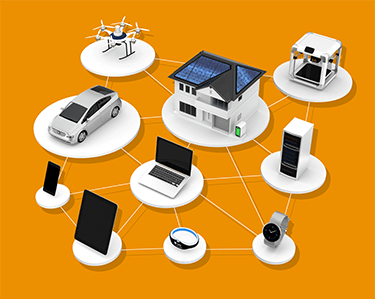 These non-traditional networked devices make up the Internet of Things (IoT). Our homes are becoming smarter and more efficient. As engineers imagine new networked devices, a reliable high-speed home network will be as integral to your lifestyle as cable / satellite television. An enterprise-grade computer network, designed and installed by TheExperts will allow all of these systems to work in harmony – flawlessly and reliably. TheExperts can even configure your network to allow control and monitoring of these systems when you are away from home – right from your phone, tablet, or laptop. And when it comes to browsing the web, we do not sit for hours at a time in front of a desktop computer anymore. We take our technology with us… using our tablets out by the pool, our laptops while watching TV, or streaming a movie to our smartphone while on the treadmill. A managed whole-house Wi-Fi system, installed by TheExperts, will allow you to roam seamlessly throughout your entire home and never lose your connection to the rest of the world. Your network will easily handle today’s demands and tomorrow’s innovations.